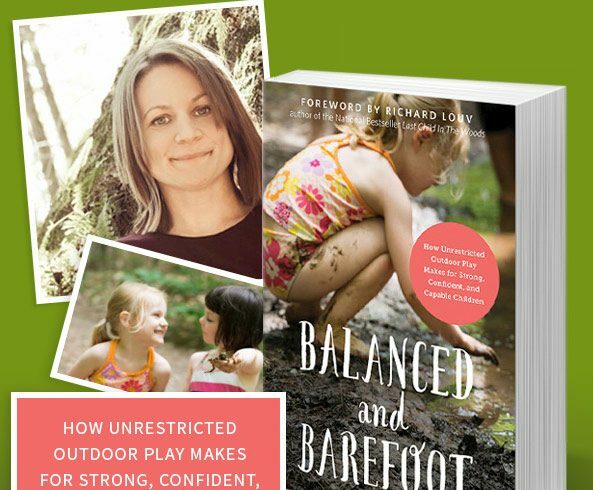 Angela Hanscom is a leading paediatric occupational therapist and the author of the award-winning book “Balanced and Barefoot” and founder of TimberNook, an internationally recognized nature play program in the United States. As we continue to decrease children’s time and space to move and play outdoors, we are seeing a simultaneous rise in the number of children that are presenting with sensory and motor deficits. At the same time, classroom teachers are observing more and more children having trouble with attention, falling out of their seats in school, increased clumsiness, and even aggressiveness with games like tag on the playground. Using the same philosophy that lies at the heart of her popular TimberNook program—that nature is the ultimate sensory experience, and that psychological and physical health improves for children when they spend time outside on a regular basis—Angela Hanscom offers several strategies to help children thrive in outdoor environments using a therapeutic approach to nature play. Read the full article here –Decline of Nature Play & Rise in Sensory Issues written by Angela in the Washington Post. Eco Explorers is committed to providing children and families with outdoor, nature-based play programs across Melbourne. We run a variety of bush playgroups, bush kindy’s, forest school, school holiday and weekend programs (including camps) for families and children.